Located by the Tagus River, the Lisboa Congress Centre (CCL) is the largest conference centre in Lisbon and has garnered a reputation for the quality of its facilities, services, know-how and professionalism. Since opening its doors on September 9, 1989, CCL has been responsible for attracting thousands of visitors to Lisbon each year. Neighbouring the historic district of Belém, CCL offers 29,000sq m of multi-purpose space, including 35 meeting rooms, eight auditoriums, seven foyers, five pavilions and a restaurant with stunning views of the river. Providing the perfect conditions for any business meeting, CCL continues to accommodate a range of prestigious events every year, from congresses and exhibitions to corporate assemblies and banquets. Since its inaugural convention in 1989, CCL has maintained a leading role in the promotion of Lisbon as a prime business destination, hosting reference events such as the Presidency of the Council of the European Union, as well as hundreds of major world congresses. This year will once again see the centre play host to a wide variety of international events, which will attract more than 130,000 people to Lisbon, demonstrating the influential role CCL plays in the development of business tourism on a national scale. This has been further emphasised by the feedback CCL gets from its attendees, and the number of clients that return to the centre time and time again. In fact, the Annual Meeting of the European Association of the Study of Diabetes was CCL’s first client in 1989. The event continues to take place at the centre to this day, attracting more than 18,000 attendees. Further, the Congress of the European Society of Cataract and Refractive Surgeons – which often attracts around 15,000 people – is returning for the fourth time, while a staggering 70,000 participants are expected to return for the second Web Summit. Flexibility and comfort are guaranteed at CCL, with a carefully selected set of suppliers and state-of-the-art audiovisual and IT equipment on hand to ensure every client has an unforgettable event experience. CCL has invested heavily in its infrastructure in order to meet the requirements of the Web Summit, which demands exceptional Wi-Fi for all of its participants, and can now cater to a whole host of complex technological needs. This investment has enhanced the attractiveness of the centre’s offering and placed Lisbon among the top-ranked cities for Wi-Fi capacity in the world. As such, CCL has been recognised for its excellence on both a national and international scale, earning several certifications such as the ISO 9001, AIPC Quality Standard and the Meeting Matrix International PCMA Space Verified and Quality award. The centre is also a member of the MICE sector’s main partners and was partially responsible for the formation of the Lisbon Convention Bureau. 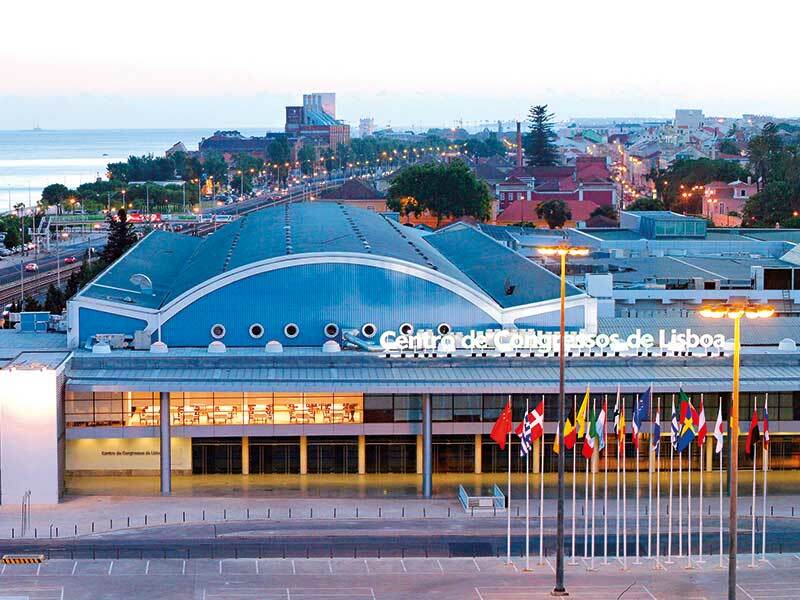 According to the Tourism Observatory, which conducts an annual survey of all congress participants, Lisbon ranked as one of the best locations for congresses in the world, and is also highly recommended as a tourism destination. As always, the quality of CCL, which hosts the majority of events in Lisbon, was highlighted as a key factor in this evaluation. Further, the ICCA ranking placed Lisbon eighth on its list of the best destinations in which to conduct business events, praising CCL for its positive contribution to the larger MICE sector. Hosting a range of prestigious events throughout the year, CCL attracts hundreds of thousands of visitors to Lisbon every year, contributing greatly to its reputation as a top destination for corporate and association events.